We would like to introduce ourselves as the importers and suppliers of blood warmers from Keewell Medical Technologies. Blood warmers are used to warm blood or iv fluids before transfusion to a patient. Blood and IV is usually stored at low temperatures, hence before transfusion into a patient, it needs to be brought to body temperature to prevent hypothermia. Used in emergency settings, operating rooms, and intensive care units. The blood warmers warms blood to a temperature that is safe for infusion. 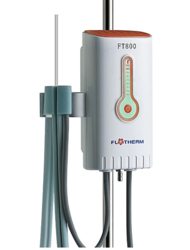 The features of our product include automatic adjustment of temperature to flow rate and portability. Bio-X is the authorised channel partners for Blood Warmer from Kewell Medical Technology. 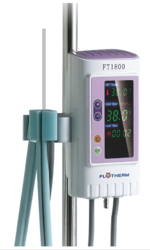 The Blood and Infusion Warmer can be used in all cases in which hypothermia of the patient through cold transfusions and infusion solutions is to be prevented. The intelligent control circuit of the device operates and deals with the temperature signal that is sent by high- precision sensor, and continually adjusts heating state, in order to rapidly keep the surface temperature of the heat exchanger at the set temperature. At the same time, the heat is transferred into the owing liquid in the tubing that is placed in the grooves of the heat exchanger, to increase the temperature of the liquid. There are dual independent temperature protections inside the device to ensure the security of use. FT 1800 & FT 800 comes with an external warming prole for better accuracy. From 20°C to 36°C Approx 2min. Length 1400mm; Compatible to IV Tube 3.5-5.0mm O.D. Warming up time: From 20˚C to 36˚C approx. 2 min. - Compatible IV tube 3.5-5.0mm O.D. microcomputer system with three independent temperature sensors that provides high precise control.The products temperature monitoring has numerical display for real-time temperature or setting temperature. 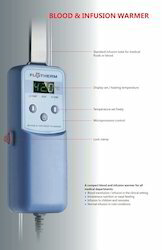 We are a leading supplier of Blood Warmer.